And then I let my precious pallets sit because I was getting ready for the market. Wasting no time, and with my market unpacking all done, today was theeee day to harvest some beautifully weathered pallet wood nearly right next door! Joy! There was still lots left! But my neighbour was right. Most of it was pretty rough. And by rough, I mean rotten. But before you bypass what you think is too far gone, there are some definite bonuses on selecting the very weathered variety. First off, you want to ensure the rot is only on the surface. If you can wash it off, you’re good to go. 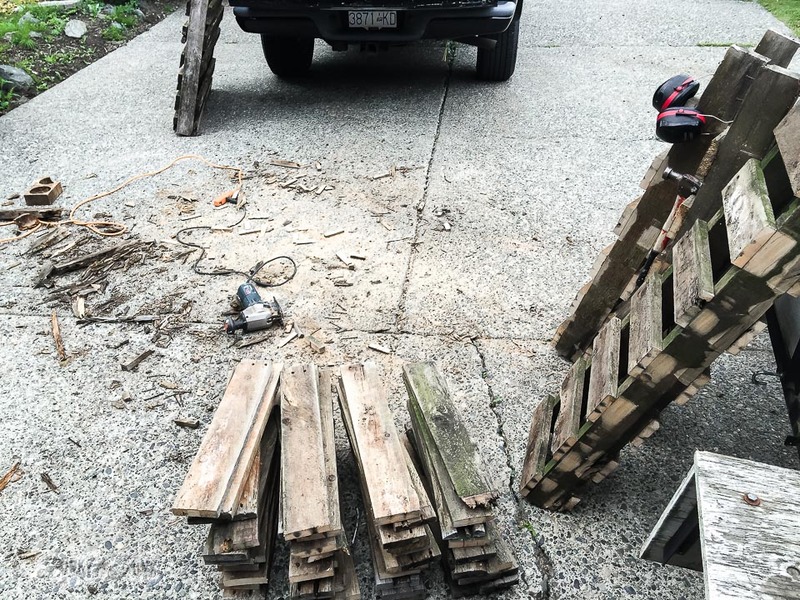 Partially rotten pallet boards are easier to lift… by myself. … and easier to cut. Seriously… I cut along the centre frame, then just ripped the other side off. No needing to pull any nails at all. It does make a mess for sure. Nothing that a broom or water hose can’t cure though. It only took a couple of hours, so to me, that’s kind of a decent haul. Just wait till you see how it looks when it’s sanded… it’ll be gorgeous! Those centre sections? No idea what I’ll do with them, but I will do something! They’re great… for something. 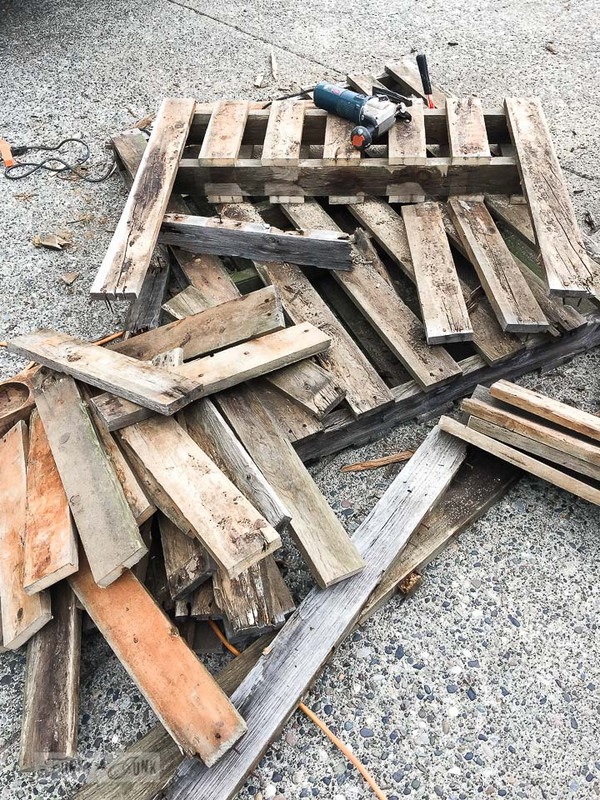 Would you pick up rotten weathered pallet wood? 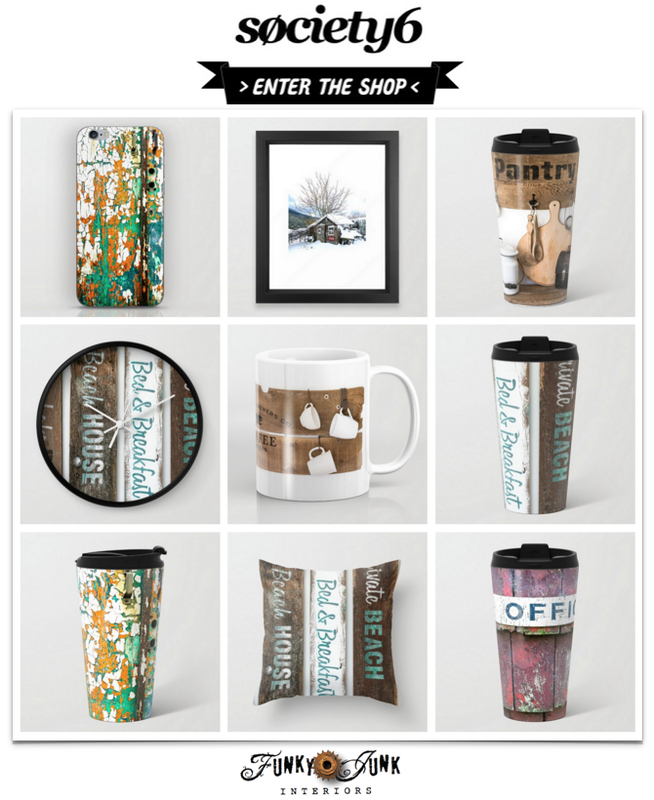 Or are you on the lookout for the sturdier kind? Oh my…yes I would have stopped for that lovely aged pallet wonderfulness! 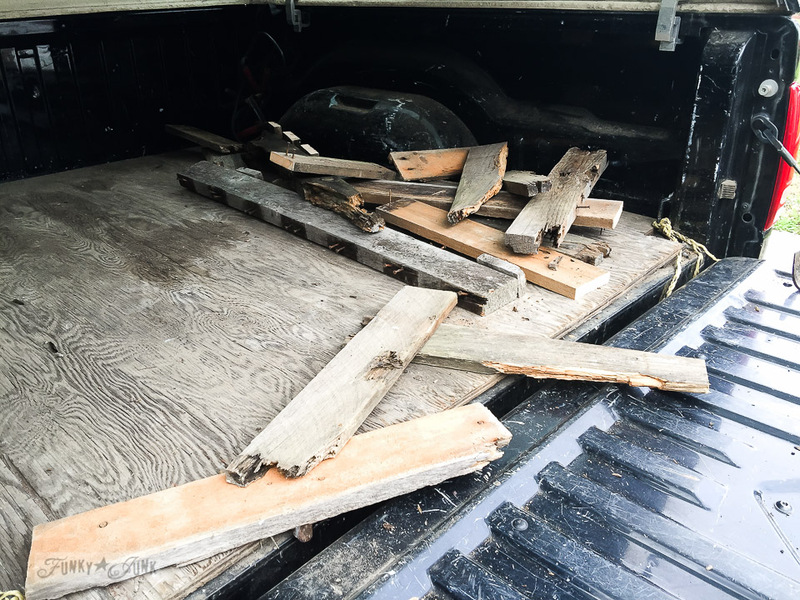 I am currently working with a pile of one hundred year old barn siding for a garden/antique show I am setting up at. There is some rough stuff and some yummy aged just right stuff too. Loving the creativity that pile inspires! 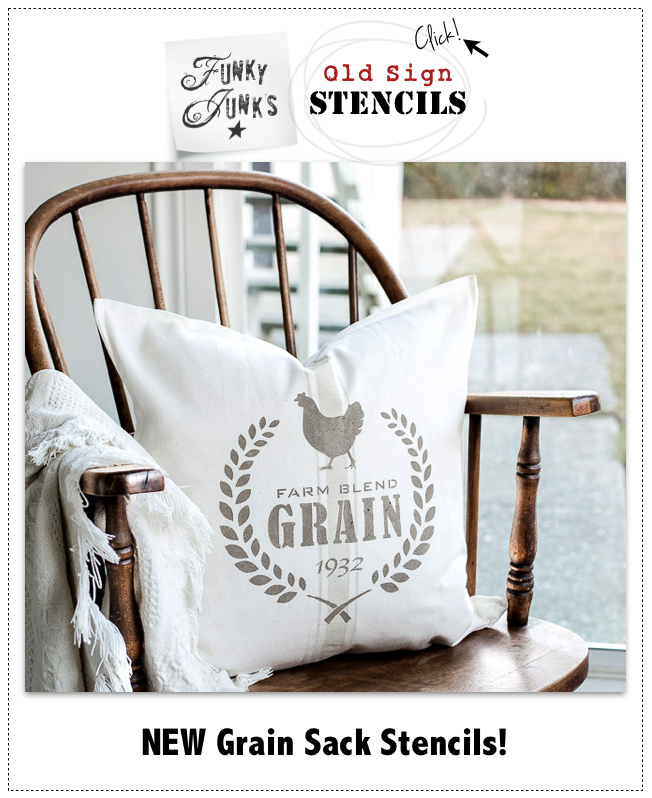 I love, love your style and all of your funky projects too. Excellent post – and haul, go you! You make a very valid point, Sam. I won’t bring stuff I can’t clean into my home, for certain. But if I can get it relatively clean and there’s no sight of mildew, I do chance it. It’s always a good idea to just keep it away from food, child or sleeping sources / areas. I’d also watch the firewood thing, if the wood is toxic you don’t want to be burning that indoors. That’s so cool. Lucky score! 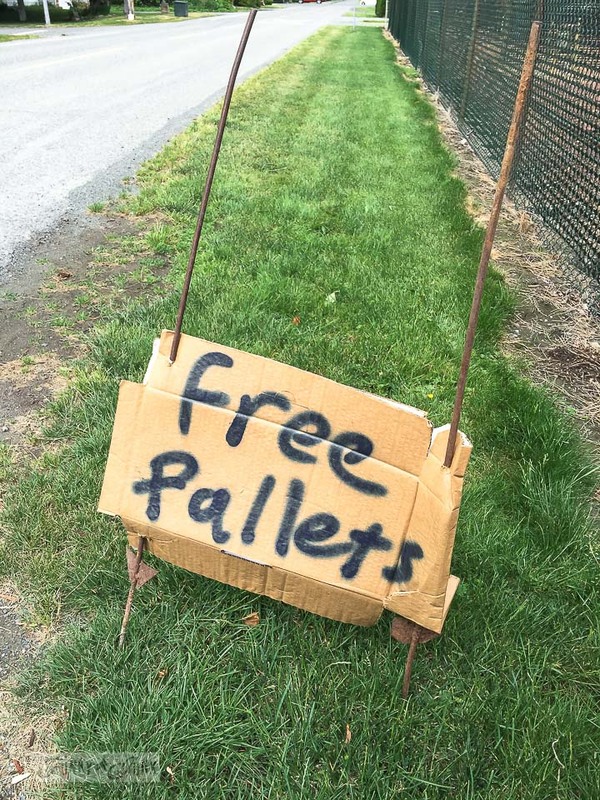 Quite often I see free pallets on Craigslist here in Portland Oregon area. I am not as creative as you so would not be doing anything. I love seeing what the people make though. Great ‘score’! ;D ….those middle sections would make awesome wall gardens, btw. Hi! I love all of your projects! Can you please tell me what saw/tool (s) you like best? 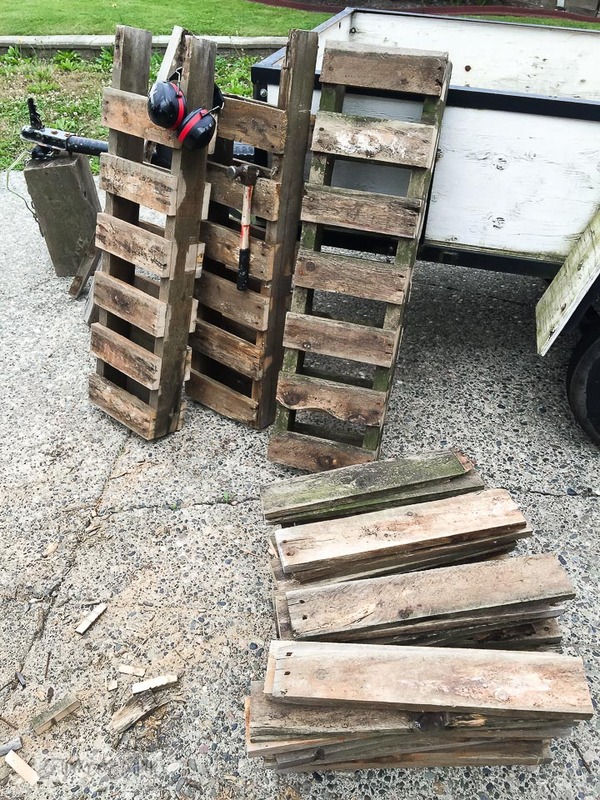 Like what did you use to cut the old pallets? I just used a jigsaw to cut the boards. The brand is Bosch, but any quality jigsaw could do the job without issue. 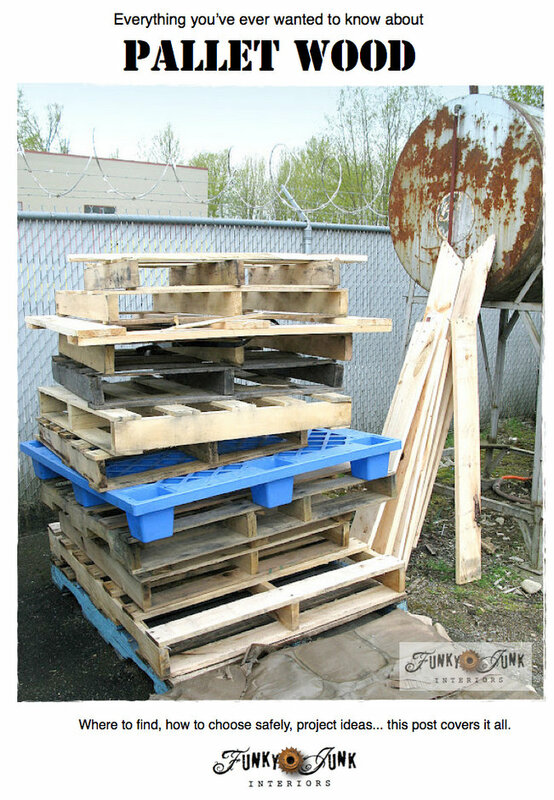 Oh me it’s so good to know there’s another pallet junky out there. Hubs keeps telling me the weathered gray boards aren’t any good, want to make trugs with them, they’re perfect. We have 3 piles of pallets down on our lower yard, used to be more but did make some things with them. People here don’t seem to like distressed looking stuff, they get all huffy and defensive when they see what we’ve made. They want spanking new looking, feel like telling them to go to KMart then, hope what I’m thinking doesn’t show. “Here” is Grand Junction, CO and we live about 18 miles west of outskirts of G.J. out in country. 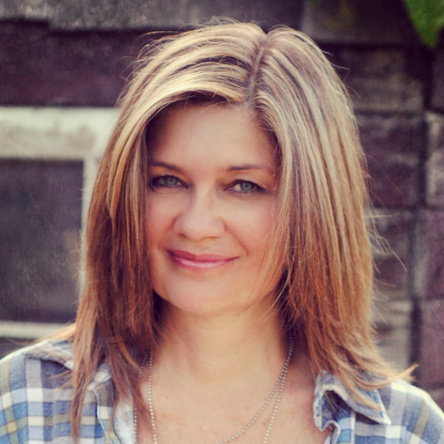 I love your blog, you are so real, honest, not phoney, too much of that here. Going to read your posts about pallets. 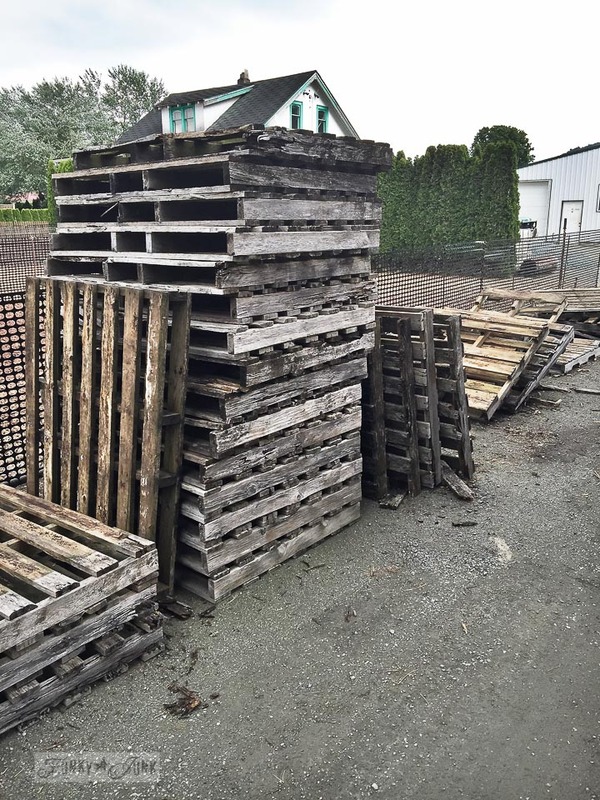 Look forward to seeing what you do with those pallets you scored. Hard to get pallets here, people want to charge way too much. Great haul Donna! Can’t wait to see what you do with all that fresh wood. It’s got a great patina to start with. Ah, sooooooo cool…I just know you’re going to come up with some special projects for this aged-wood-goodness and I can’t wait! I’m on the edge of my seat just wondering what you’ll do with the centre sections! Also see in the comments where you gave links for posts outlining tools you recommend DIYers have in their arsenal…I’ll be checking those out, too…thank you for that! I’m friendly with my local builder who now knows I like old pallets so is going to keep them for me. Loving the weathered look. A DESTRUCT SAW (CHEAP AT HARBOR FREIGHT) and a long metal cutting blade will allow you to cut the nails and save longer planks.. Thanks for your suggestion! I’ll have to look into one! You need to start selling that wood! LOVE it!!!! It’s like pallet heaven going on at Funky Junk. Never considered that the more weathered the wood, the easier to pry apart, great tip. Looking forward to what’s to come. We’re going to be picking up some pallet wood this weekend too!!! Except, I’m having the hubs do it. gah! that looks great I have a neighbour who has some sitting there and I have to ask befor someone else does…. I pick up pallets from a medical supply equipment importer. 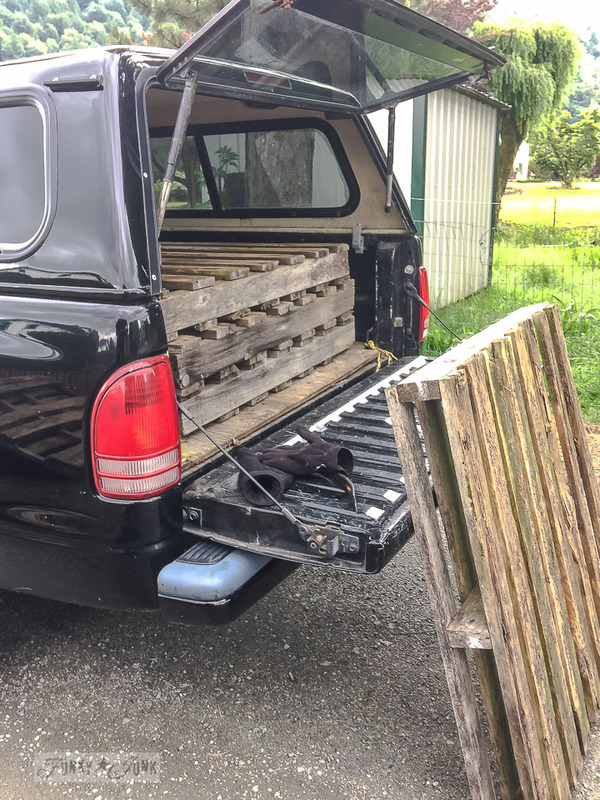 They’re 3/4″ oak pallets. GAW-geous. Unfortunately, (whaaat?) they’re new wood. I pack these heavy puppies into my truck, also by myself, and leave them in the yard for a year or so. Again, unfortunately, it makes all “normal” pallets seem flimsy. 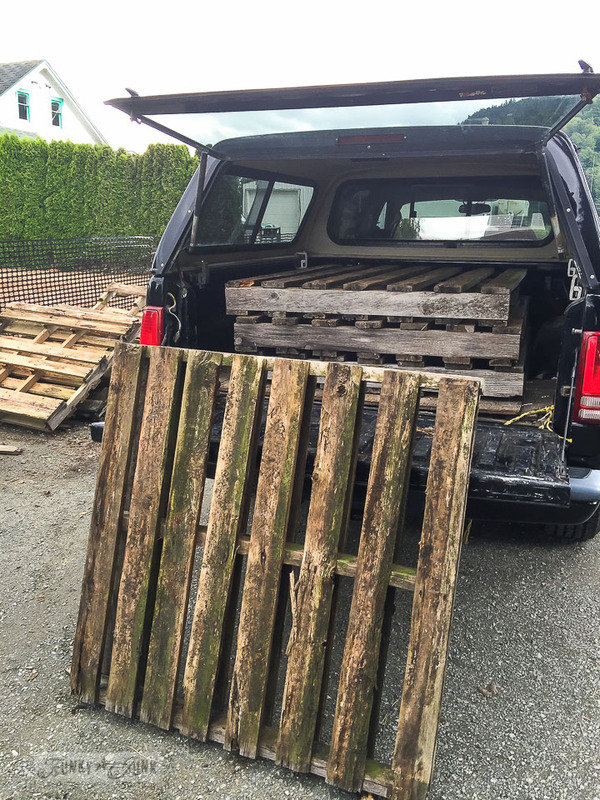 That said, I’d never turn down a pallet — nor pass by one on the road. I always laugh when people want to know where to find pallets, or how to take ’em apart. Love your work, as always! Great ideas. I have a small winery and am getting every year more and more pallets that I did not want to dispose off…now I know why !! My husband has a sourceand he takes apart the pallets and makes storage sheds. It is a much better use for the wood than all that lumber going to the dump. We believe in recycle, repurpose and reuse!! Now that is a wise use for that wood! So cool! 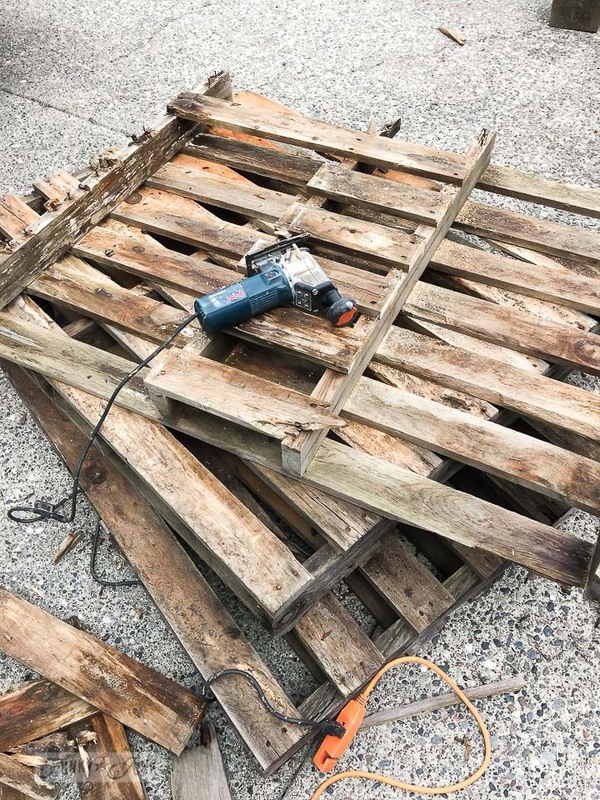 What tools does he use to take the pallets apart? I’d love to do more of that, but have a tough time.